I got an implant bridge, but now my bite is mis-aligned. On the right side my opposing teeth are touching. On the left side they are not. Is this normal with implants? No, this is not normal. In fact, this can lead to TMJ. Not all dentists who advertise to do dental implants are actually qualified. 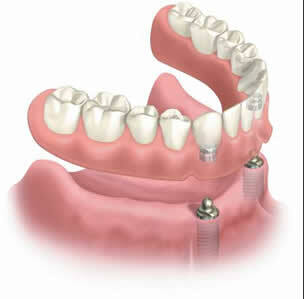 There are many dental malpractice suits regarding implants. One of the biggest problems is many dentists do not do the surgery. They’ll hire an oral surgeon to place the implants and they’ll do the restoration. Miscommunications are a big problem. If your dentist is going to do that, he needed to make some type of surgical guide that fits in your mouth and fixes the exact position and angle where the implant should be placed. Because your dentist didn’t catch the mis-alignment on his own (and that is a big deal), my suggestion is for you to see a different dentist. Look for someone who has post-graduate training in dental implants. If it is determined that the problem is the placement of the implants, you are within your rights to ask for a refund and have these re-done by a different dentist. This blog is brought to you by Seattle Cosmetic Dentist Dr. Brain McKay. ‹ Can dental problems cause severe headaches? Use the form below to ask a question about Bite is mis-matched after dental implants and one of our expert team members will get back to you shortly.